What a difference a day or two makes! Just a couple of days since visiting the North Cornwall coast and being amazed at how spring like it was, it’s now snowing in the South West. On Tuesday, crossing the Tamar Bridge felt like travelling to a foreign land. The welcome sign for ‘Kernow’ only adds to this impression, as does its location at the far western and southerly tip of England. With 80% of the county’s boundary on the coast, it’s almost an island unto itself and on a sunny day, you can’t help feeling excited at the prospect of a day out beside the sea. Cornwall draws you in and for some the pull is so strong they end up staying. It is after all, the land of myths and legends where many settlers have left their mark, from the 5th and 6th Century Celtic saints to more recent evidence that the Romans made it this far, contrary to popular belief. One such outpost is on Brea Hill, a promontory which forms part of this Coast Path walk along the Camel River from Rock. 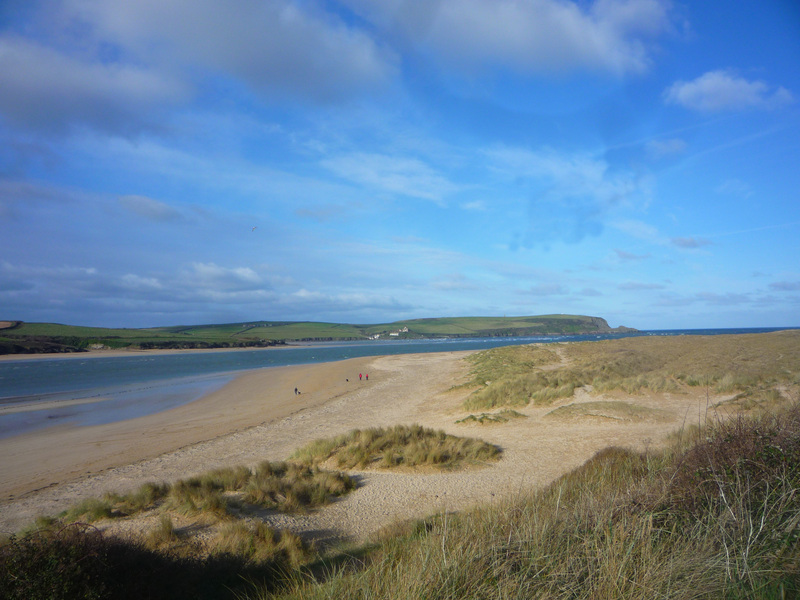 It’s a glorious short walk through sand dunes with views across to Padstow and miles of golden sands either side of the estuary. In between sits the legendary Doom Bar with its tale of a vengeful mermaid who cursed a local sailor for mistaking her for a seal. 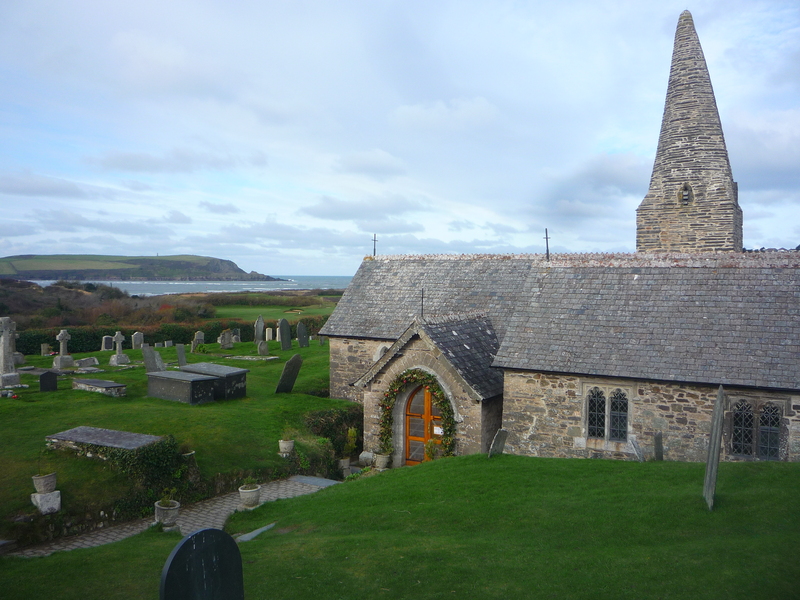 A loop back links in with the tiny St Enodoc Church where Poet Laureate Sir John Betjeman is buried. He too was caught by Cornwall’s spell and settled in the nearby village of Trebetherick. His poems of the place were inspired by his favourite walks along this coastline. He describes the natural surroundings, from the tamarisk to the enormous tides, though not without some internal conflict. He was torn between the issues of preserving the environment, (designated part of the Cornwall Area of Outstanding Natural Beauty in 1981), with the promotion of tourism through his work – a dilemma that remains paramount today. Walking is at least one of the most sustainable forms of travel, as long as you tread carefully. There are signs asking you to keep children and dogs out of the dunes so as not to disturb this fragile ecosystem and with such an expansive beach for a natural playground, that’s easily done. Avoiding the busy heights of summer helps too and I can’t help feeling a little smug at being able to avoid the crowds while experiencing a glorious day on the Coast Path. 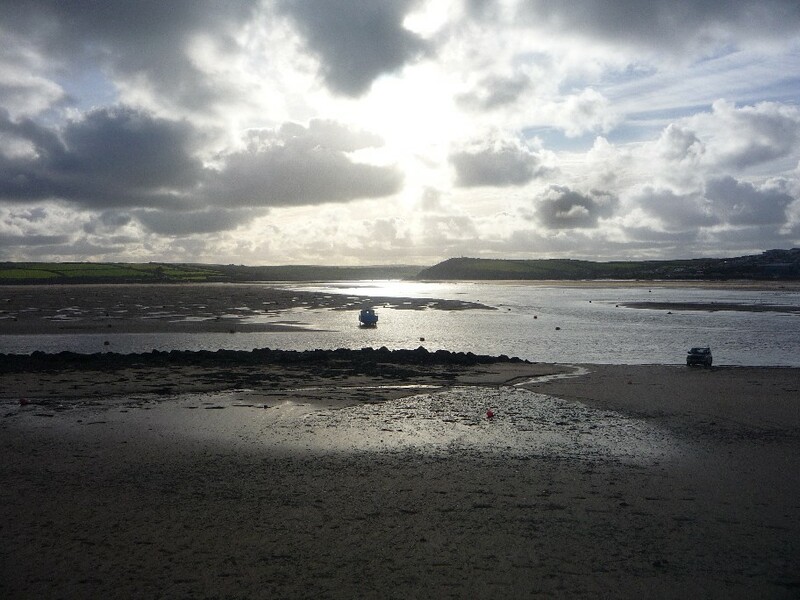 Returning to the car park it was time for refreshment and the only place open was The Rock Inn with its stunning views of the estuary at low tide. Magic. Read Professor Philip Peyton’s biography of the poet, ‘John Betjeman and Cornwall- The Celebrated Cornish Nationalist!’.